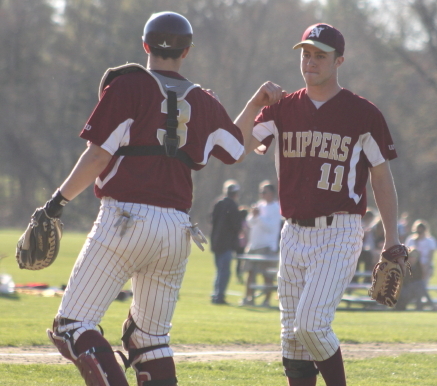 (Ipswich) Evan Habib tossed a 3-hit shutout as Newburyport defeated Ipswich, 3-0, on a very pleasant Tuesday afternoon. Evan (making his second start) permitted only one runner to reach second and issued only two walks. The defense behind him was flawless. The Clippers (4-4) took advantage of four Tigers errors to get the runs needed for the win. 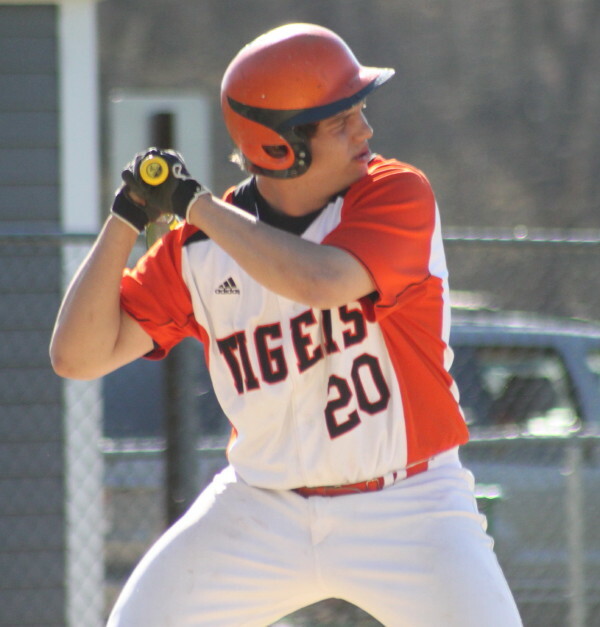 Ipswich pitching (Ryan Law and Sean Whooley) was solid and allowed only four hits but the defense did in the Tigers (2-6). Newburyport picked up it’s first run in the third inning. Three Ipswich errors (Josh Guertin, Sean Whooley, Mike Savoie) set up Ian Michaels for the first Clippers score. On Colton Fontaine’s single to deep short, Ian reached third and kept going home as the throw from short to first was low. 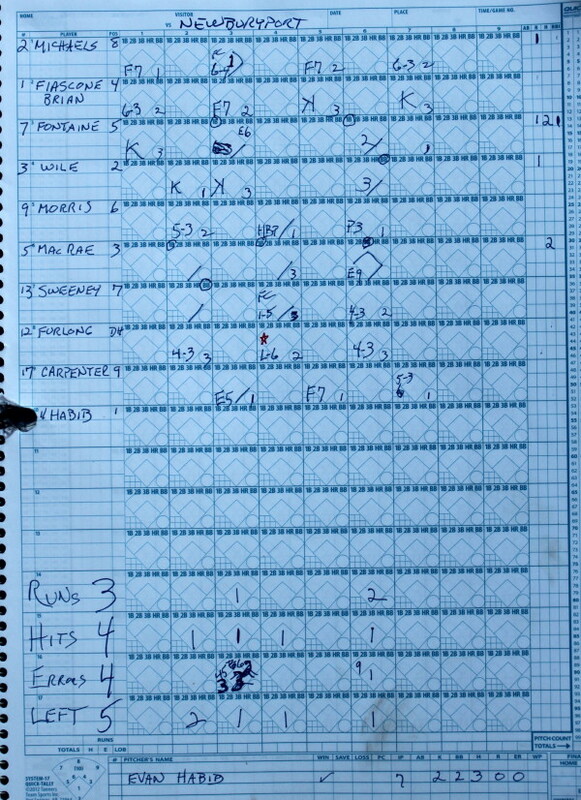 This was a one-run game into the top of the sixth inning with the outcome far from figured out. 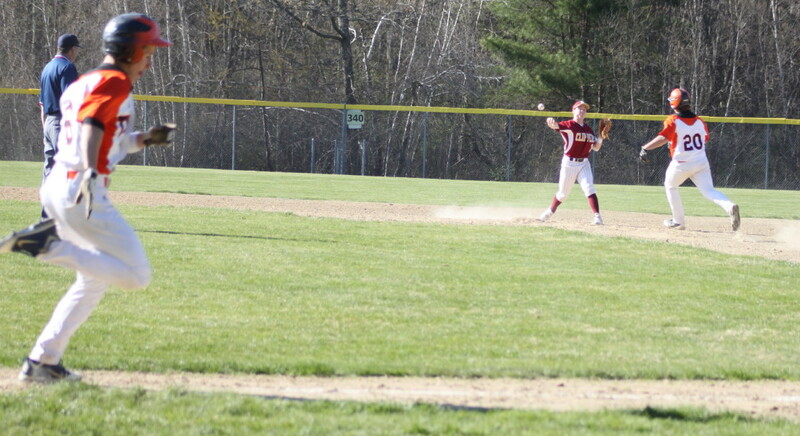 In the sixth, Ipswich starter Ryan Law gave up a single to Colton Fontaine and a walk to Connor Wile. Ipswich coach Gardy O’Flynn brought in Sean Whooley to replace Ryan. Sean got Colby Morris to pop out but next batter Connor MacRae lofted a long fly to right center. Rightfielder Austin Rubino raced after it but the ball bounced off his glove and both Colton Fontaine and Connor Wile crossed home. Connor MacRae ended up at third. 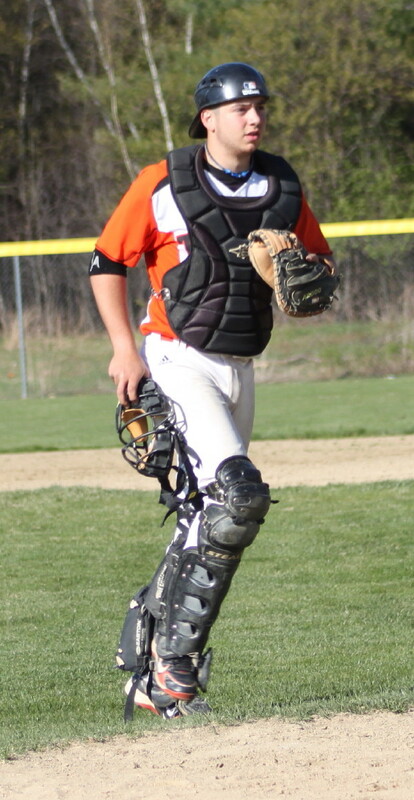 Connor MacRae had two hits. In Connor MacRae’s two previous at-bats he had singled down the rightfield line each time. 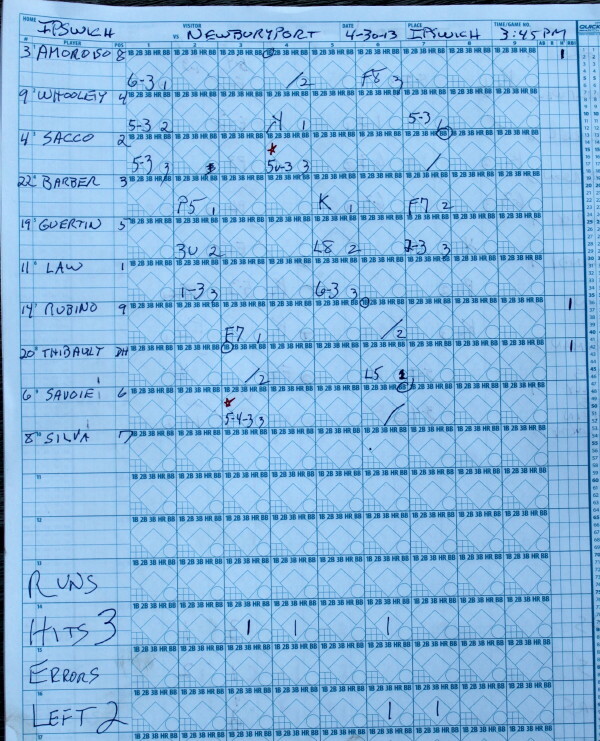 In the Connor’s third at-bat (in the sixth inning), rightfielder Austin Rubino was positioned closer to the line. That placement cost him a couple of steps as Connor’s deep fly went to right center. Sean Whooley was able to get the next two batters (Mike Sweeney and Ryan Furlong) to ground out. The damage, however, had been done. 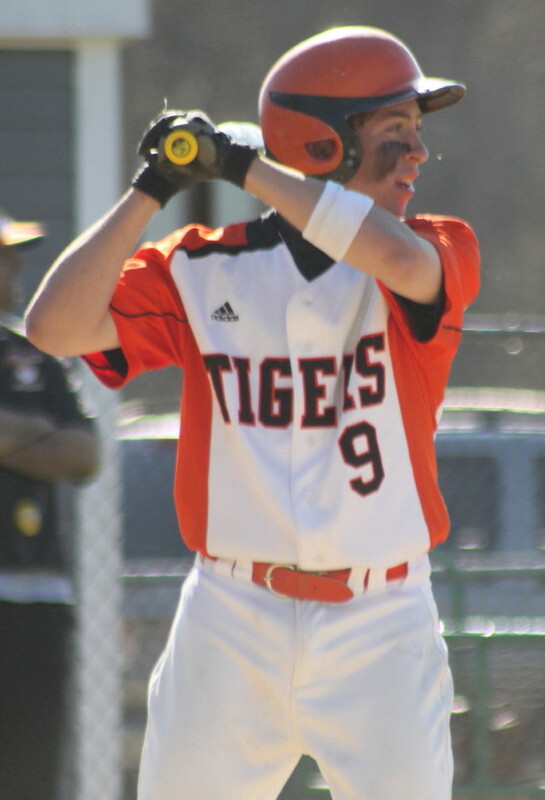 The Tigers had tough luck in the fourth inning after Alex Amoroso singled and reached second on a passed ball. 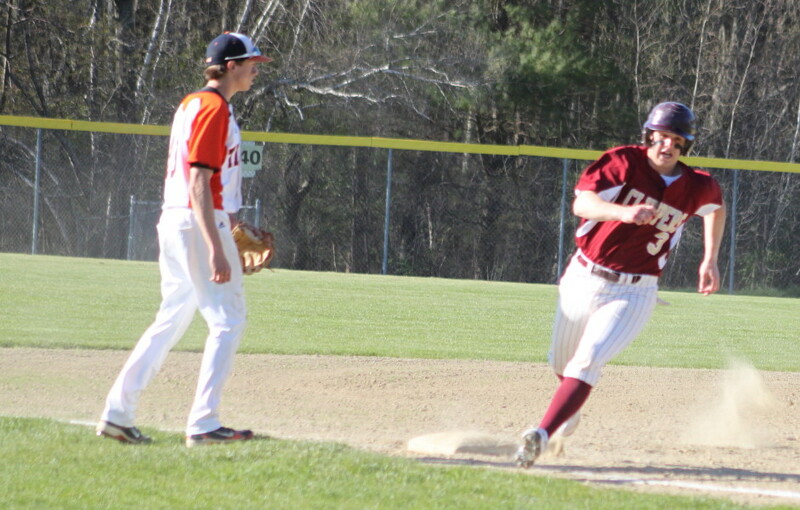 Alex was on the move toward third when teammate Henry Sacco hit a grounder directly to third baseman Colton Fontaine. Colton had plenty of time to tag Alex and then throw to first to complete the double play. Ipswich has now lost four of their last five. Colton Fontaine and Connor MacRae each had two hits for the Clippers. Colton also had two stolen bases. Alex Amoroso, Jordan Thibault, and Austin Rubino had singles for Ipswich. Newburyport turned a 5-4-3 double play to end the third inning. 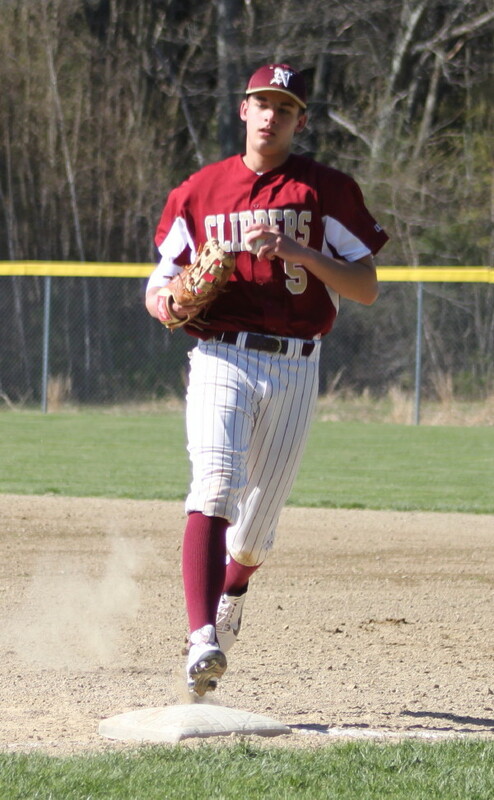 The Tigers had a double play in the fourth when shortstop Mike Savoie speared Ryan Furlong’s liner and Connor MacRae was picked off second to end that inning. The weather was terrific for late April. This game took less than two hours to play. 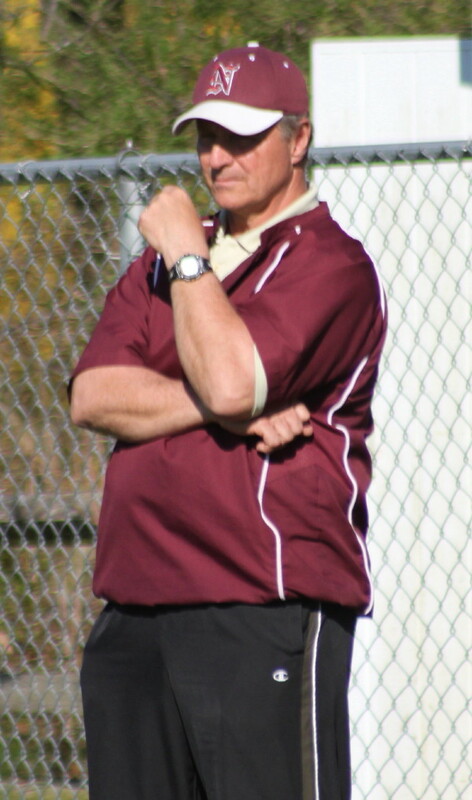 On Thursday Newburyport will host Manchester-Essex while Ipswich visits Triton. Brian Fiascone handles the middle of a 5-4-3 double play.